In part one of this post on the Urban Development Corporation (UDC) model, I employed three case studies to demonstrate how UDCs can be effective vehicles to enhance efficiency in sustainable urban development. In this post, I want to first outline Taichung's need for a UDC. I will then examine a proposed UDC structure for Taichung and offer some of my own suggestions and analysis. A UDC would be instrumental in streamlining Taichung's urban development process. Without debating the merits of Taichung City's 17 governmental departments, it is undeniable that eco-city projects will expose inefficient management practices. 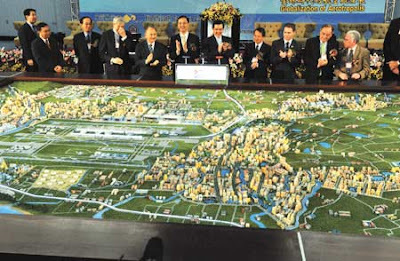 For example, if Taichung's Department of Urban Development is tasked with implementing a sustainable urban development project, its responsibilities and powers will inevitably overlap with the departments of Transportation, Land Administration, Construction, Finance, Economic Development, and Legal Affairs, not to mention the Environmental Protection Bureau. With so many overlapping organizations, it is exceedingly difficult for one entity to assume start to finish responsibility over a project. Taichung's bureaucratic miasma is only compounded by its impending merger with the Taichung County government; the two separate entities and all their agencies will integrate on December 20, 2010. I am not suggesting that a government's separation of powers is an undesirable quality, only that its process of decision-making can delay or hamstring precise urban retrofitting projects. In order to enact Taichung's vision of becoming an eco-city, a UDC would be a most welcome tool. A Taichung UDC could tackle previously mentioned urban decay in the old city center, streamline the development of the Shui-nan Airport area, and effectively leverage private investment to stimulate strategic projects throughout the city. Furthermore, a UDC provides a powerful outlet for the city's stated emphasis on sustainable development. 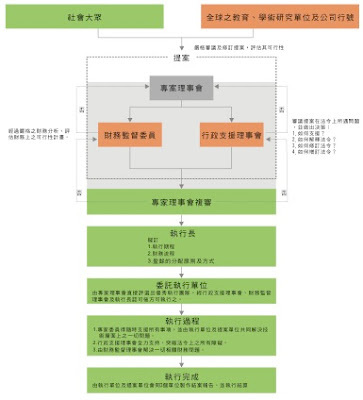 At the behest of the Taichung City government, the authors of the Taichung City Strategic Energy Masterplan under Climate Change created the organizational framework for a potential Taichung UDC. Named The Greater Taichung Metropolitan Area Toward 2020 Urban Development Corporation, the UDC would focus on specific development projects throughout Greater Taichung. Whereas the LDDC, Hamburg Hafencity, and the two Taoyuan Airport development corporations are all entirely public owned, the proposed Taichung UDC would be a joint public-private organization with both government and private shareholders. In this proposal, Taichung's UDC would be more structurally diverse than the other examples mentioned in part one of this post. The mayor of Greater Taichung (recently re-elected Mayor Jason Hu) would be the Chairman of the Board. There would also be an Executive Director selected from an executive committee comprised of government officials, private entrepreneurs, independent members, and academic experts. Finally, a CEO would be selected from a pool of six managing directors, contingent upon the Mayor's approval. An interesting aspect of the proposal is the reliance upon three parallel decision-making structures (Fig.1): technical specialists, legal/administration, and finance. Technical specialists would include an urban planner, architect, entrepreneur, and an engineer focused on climate change and energy. This committee would be responsible for innovation breakthroughs in urban planning and alternative energy development. There is also a provision mentioned in the proposal encouraging cooperation with universities and research institutes. Supporting the creative working group are two branches entrusted with implementation and financing. Leading the administrative branch are five members of the central and local government. This branch is in charge of legal compliance and the feasibility assessments for proposed projects. Lastly, a four-member financial branch would be comprised of a financial analyst, two professional investors, and a venture capitalist. The financial panel is responsible for project financing and is responsible to the corporations stockholders. Fig. 2 demonstrates each branch's role in the project approval process. Ideas for urban development projects (from private citizens, climate change experts, businessmen etc.) are initially presented to the committee of technical specialists. This panel of technical advisors serves as a clearinghouse for all projects. If proposed projects do not meet the technical panel's requirements, they are discarded. If approved, the projects are passed along to the the administrative/legal committee and the financial committee. If the project is fiscally and legally sound, it is returned to the technical team for a second round of expert review. Projects that receive a second stamp of approval are slated for completion and forwarded to the CEO. The UDC CEO is in charge of the project's timetable, implementation and profit distribution. An execution team is finally tasked with seeing the project to completion. 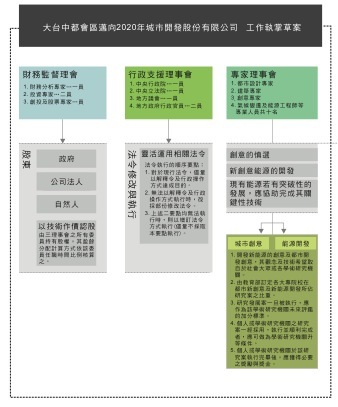 Aside from its public/private stock ownership, the upper-level management structure of the proposed Taichung UDC is fairly similar to the other previous case studies. The proposal's most unique aspect is its diffusion of project implementation responsibilities. The utilization of three separate project management committees, focused only on their specialties, will foster holistic and pragmatic projects. Essentially, the UDC will function as an idea pipeline, drawing on a broad range of sources for its development inspiration. This will promote project diversity and prevent tunnel-vision. Based on Taoyuan Aerotropolis’ methods, we founded an organization applied to development of the Shui-nan Airport. This area’s development cannot be left alone to free market construction, since the result of free market development leaves us with no means to retake control. Post-development land won’t be sold, so we founded a sustainable operating management company, irregardless of whether it deals with land or construction, this company will belong to the government, and future development direction and management will be relatively easy. But this method must pass through legislation, and this precondition can only be implemented after the county and city government merge. But recently this case study in inter-departmental discussions has garnered little support. Only after the county and city government merger could it possibly be implemented. At its current stage, the large majority of people still cannot accept this new concept. Director Huang's remarks are unsurprising. There will always be interdepartmental inertia when contemplating organizational reform. A proposal such as the one outlined above will take strong leadership and a coherent vision of Taichung in 20 years (as opposed to five) in order to implement. After the dust settles from Taichung's recent election and county merger, the new Greater Taichung government should re-examine the benefits of such a proposal. If Taichung wants to be a pioneer in sustainable development, it must start with a pioneering organizational structure. What sort of UDC model should Taichung utilize? In addition to the structural outline for the proposed Taichung UDC mentioned above, it is also important to consider what sort of qualities it will emphasize. In determining the characteristics of a Taichung UDC model, the previously mentioned UDC case studies offer promising suggestions. Taichung could emulate the socially-inclusive tone of the second generation U.K. UDC. Similarly to HCH, Taichung should adopt a strict quality over quantity approach to its land development. A Taichung UDC could create an award similar to HCH's ecolabel in order to promote high sustainability and green design standards. Taichung would also benefit from HCH's incentives for renewable energy sources and non-motorized transport, allowing the city to become a national leader in energy and transportation innovation. Taichung should also look to the Taoyuan Aerotropolis' dual UDCs as a source of inspiration, as government decisiveness intervened to correct past inefficient practices. Like the renovation of TTIA, Taichung's eco-city aspirations are a crucial priority, not only in an economic sense, but one of identity. By becoming Taiwan's greenest city, Taichung could distinguish itself from its larger Northern and Southern neighbors. A UDC in Taichung is the vehicle that could vault Taichung into a different status of international city, staking out its own green credentials and becoming a model for the rest of Asia. Many cities across the world are increasingly focused on providing their citizens with a more livable future. However, the task they face in greening their cities is a difficult one. Sustainable development projects need to attract both government support and private financing. Concurrently, enacting a sustainable vision requires the incorporation of renewable energy sources, green buildings, green space, and improved infrastructure and public transportation (only to mention a few). In order for a city to carry-out such a demanding and multi-faceted endeavor, it must have an efficient organizational structure allowing various components to coalesce into an effective framework. One type of organization well-suited to implement sustainable development projects is the urban development corporation (UDC). Part one of this post will examine both the evolution of the UDC model and its application to urban development projects in the U.K., Germany and Taiwan. Part two of this post will discuss the potential application of the UDC model in Taichung and its ability to cultivate Taichung's eco-city ambitions. What is an Urban Development Corporation? UDCs are publicly-accountable organizations vested with enough power by the government to assume primary control over a targeted area's planning future. While UDCs have operated with different characteristics in several countries, they generally adhere to a simplistic formula for success. UDCs are bestowed with planning and land development powers from the government and are supervised by a government-approved board of management. UDCs fund their development projects through a mixture of government funding and land sales. While significantly supported by the government, UDCs remain semi-autonomous and employ a corporate management structure. The fusion of government-backing and corporate management promotes both long-term stability and efficiency, thus attracting private investment. UDCs are also curators of a certain urban image. In some cases, this quality lends itself to UDCs being powerful tools for championing sustainable development. When attracting private investment and developing the land, UDCs can impose higher standards in environmental quality and low-carbon design than would normally be utilized. The level of standards a UDC requires determines the distinct urban atmosphere created by its regeneration projects. UDCs have existed in countries across the globe, ranging from Malaysia to Jamaica. In this post however, I will utilize UDC evolution in the U.S. and U.K. to illustrate their commonalities and gradual transformation as a reaction to past successes and failures. One of the first UDCs was the New York State Urban Development Corporation. Founded in 1968, the NY State UDC aimed to combat urban decay and provide affordable inner-city housing in New York City.In order to achieve its goals of urban regeneration, the UDC was granted a series of significant powers that have since been key features of future UDCs. Its powers included: eminent domain, predominance over local zoning regulations, and the ability to issue its own bonds for financing purposes and tax abatements for private developers. Despite some successes, the NY State UDC left a divisive track record as it encountered serious resistance to some of its inner-city regeneration efforts. Local residents regarded the UDCs activities as a misallocation of government resources and the construction of low-income housing in middle class neighborhoods engendered the opposite intended effect of white flight. After flirting with bankruptcy in the mid 1970s, the NY State UDC shifted its mission away from controversial inner-city redevelopment. Renamed the Empire State Development Corporation in 1995, the UDC continues to operate with a focus on private sector development. As the the NY State UDC began to turn away from its inner-city development goals, UDCs also emerged in the U.K. Under the U.K. Local Government, Planning and Land Act of 1980, UDCs were founded and granted powers similar to those in the U.S: eminent domain (known as compulsory purchase) in addition to significant control over urban planning and infrastructure improvement. The law stipulated that UDCs would be run by a board that answered to the Secretary of State for the Environment and their activity was to be financed by government funding and land sales. However, the U.K.'s UDCs had less autonomy than the NY State UDC. The UDCs of the U.K. were intended to carry out planning for a targeted area over a specific amount of time. Once their planning goals were achieved, the UDCs devolved their power back to local authorities. Thus by 1998, all UDCs created by the 1980 U.K. legislation had ceased activities. Despite checks on their jurisdiction and length of operation, the first generation of U.K. UDCs left a mixed legacy similar to their U.S. counterpart. Local residents accused the UDCs of indifference to local needs and disapproved of the way funds were spent. As a result, the U.K.'s 2003 Sustainable Communities Plan included a second wave of UDCs that dedicated greater attention and resources to local concerns and community improvement. The new plan called for more formalized integration of local members into the UDCs decision-making framework. Most significantly, the U.K.'s second generation of UDCs possessed substantially weakened plan-making powers. On the London Thames Gateway Development Corporation(LTGDC) website, it pointedly states that the corporation: "has no powers to prepare statutory planning polices and no direct powers regarding planning enforcement." The softer planning powers of the U.K.'s second generation UDCs indicate an important transformation from urban redevelopment to urban retrofitting. The U.K.'s modern UDCs place an increased emphasis on preserving and strengthening the pre-existing communities targeted for development rather than displacing and rebuilding over them. The new UDCs in the U.K. are more responsive to community desires and operate in greater accordance with the principles of sustainable development. In order to build lasting eco-cities, communities must be included as partners. Without their consent and active engagement, an urban development project will be all hardware (roads, powerlines, buildings) and no software (education, public health, social initiatives). Despite the importance of increased community inclusion, it remains to be seen whether the "gentler" UDCs of the 2000s will equal the efficacy of their more monolithic predecessors. This section will take a closer look at one UDC that has run to completion and two that are currently in operation. Each case study's examination will reveal the development goals, organizational structure and urban vision that are unique to each. 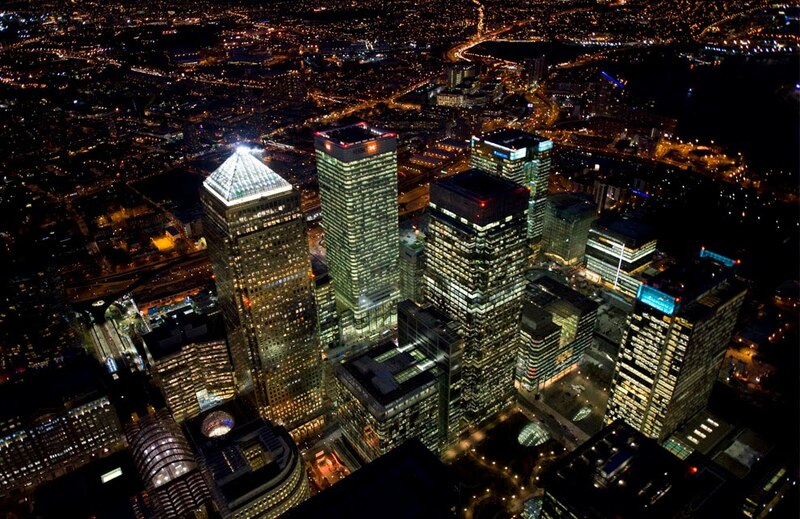 Controversial and successful, the London Docklands urban regeneration project is an excellent case study of what the powers of a broadly-empowered urban development corporation can achieve, but not without its drawbacks. The London Docklands Development Corporation (LDDC) was a UDC established by the UK government in 1981. The LDDC was tasked with regenerating the London docks, an area that had fallen into serious disrepair. Over 100,000 jobs had been lost from 1978-1981, bringing the unemployment rate in the docklands to 17.8%. The docks had also experienced a 20% population decline in the previous decade and 60% of its area was deemed vacant, derelict, or under-used. 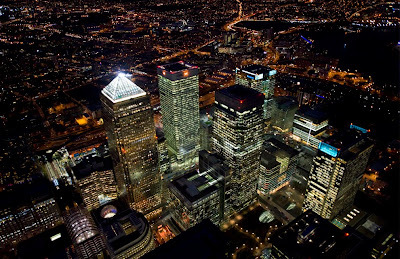 Previous regeneration efforts led by the London Boroughs, Greater London Council, and the Docklands Joint Committee had failed to stem the tide of urban decay and unemployment. Thus, the U.K. government created UDCs and embraced entrepreneurial solutions to facilitate urban regeneration. The LDDC was granted powers of land acquisition (including compulsory purchase), planning primacy in the area, enhancing infrastructure, and channeling government resources. At its onset, the LDDC was overseen by an eleven member board appointed by the Secretary of State for the Environment and led by a three member executive board. While not incorporated formally in its leadership structure, the LDDC consulted an Urban Design Advisory Group composed of architects and planners on informal design issues. The LDDC also sought more formalized advice on regional design from the Royal Fine Art Commission. "if permanent regeneration was to be achieved design and environmental standards would need to be raised to compete with those established elsewhere in the capital. Indeed, it is the LDDC's aim to surpass those design standards and to achieve a degree of excellence which set the area apart from neighbouring and competing districts"
The dockland's untouchable status left the LDDC in a balancing act. Investors had long avoided the area, thus imposing overly stringent building requirements would stifle the momentum for private investment before it ever began. Once value was demonstrated in the area, the LDDC was better able to insist upon certain architectural and design standards. By the time the LDDC devolved all its remaining power to the London Boroughs in June 1998, it had been a quantifiable success. In investing £1.86 billion of public funds, the UDC encouraged over £7.2 billion in private investment to flow into the area. 24,000 new homes were constructed as home ownership increased from 5% to 45%. The project saw the addition of 25 million square ft. of new commercial and industrial space. Overall employment in the docklands more than tripled, with the unemployment rate falling to 7.2%. The LDDC contributed much to the area's infrastructure including links to the London Underground, 144 km of new roads, new pedestrian walkways and bicycle paths, and fostering the development of the London City Airport. Despite its statistical achievements, the LDDC met with resistance from many local authorities and residents who felt that its focus excluded the local community of the docklands. Opponents decried that gentrification of the area forced original residents out and the industries that moved in (i.e. financial services) weren't suited for to the former dockworkers' skill-sets. The LDDC maintains that it was not a housing, education, or health authority (those powers remained with the London Boroughs), thus it had no official responsibility to oversee those social aspects of the area's development. Irrespective of their obligation, the LDDC did apportion £120 million for schools, health centers, job training, and various other social programs. Whether the amount of money and attention the LDDC provided local residents was sufficient is debatable. Because the LDDC didn't shy away from its "you have to break a few eggs to make an omelet" mentality, the result was a vibrant, revitalized London downtown. Hafencity Hamburg is an ambitious urban development project currently underway in Hamburg, Germany. The Hamburg Senate approved a masterplan to redesign a 157 hectare area in 2000, the culmination of nearly a decade of momentum for the project. Similarly to the London docklands urban regeneration effort, Hamburg's Hafencity also aimed to redevelop a former commercial waterfront area that had fallen into disuse. Tasked with overseeing Hafencity Hamburg's urban development project is Hafencity Hamburg GmbH (HCH), a UDC founded in 1998. HCH is in charge of land acquisition and sales, property development, and attracting investment. The corporation is also responsible for the area's public infrastructure improvements (except for the subway), marketing and promotion. Owned entirely by the city of Hamburg, HCH's organizational structure is made up of three parts: an executive board (CEO and Managing Director), a supervisory board comprised of members of the Hamburg Senate, and an advisory board made up of experts in related academic disciplines. HCH's leadership structure incorporates business, government, and academic decision-makers. As opposed to the more concentrated power of the LDDC, HCH operates with a more extensive system of checks and balances; HCH land sales must be agreed upon by members of the Land Commission (made up largely of the Hamburg parliament) and overall planning responsibilities still lie with the Urban Development Commission. "the aim is...to set inter-national standards for conceptual and architectural quality. It is important, therefore, not only to attract powerful and financially strong investors, but also to find developers willing to cooperate in setting quality standards and in treading innovative paths." Land isn't only sold to the highest bidder, but is subject to the corporation's preferences for sustainable development. The Hafencity project utilizes many former brownfield sites and has created the "Hafencity ecolabel" to ensure that certain standards of sustainable design are met and strived for. The ecolabel assesses buildings based on their energy efficiency, construction materials, public access, and overall contribution to health and well-being. HCH is confident that it will exceed its goal that 30% of the buildings in the Hafencity development will comply with the ecolabel's gold standard. For the remainder of the project, residential buildings will not be constructed unless they attain its gold rating. The HCH has also emphasized sustainability in its transportation and energy needs. Hafencity places a high priority on public ease of movement and accessibility. To improve the flow of foot traffic, parking is primarily underground and buildings are spaced apart as opposed to being constructed in long blocks. Hafencity contains more kilometers of pedestrian and bicycle paths than roadways. Bicycle rental stations will be present in front of multiple subway and bus stations, integrating public and non-motorized transportation. HCH has also taken steps toward a low-carbon energy supply by setting CO2 emission restrictions on its heating sources, incentivizing geothermal, solar, biomass, and hydrogen energy projects. The green standards of the HCH are excellent and it has won several awards in architecture, engineering, and marketing. While the focus thus far has been on the West, the recent plan to upgrade the Taiwan Taoyuan International Airport (TTIA) demonstrates that UDCs have also found backing in Taiwan. As the primary international gateway of Taiwan, the TTIA is in need of a facelift. The renovation, expansion, and transformation of TTIA into Asia's foremost logistics hub is at the crux of President Ma Ying-Jeou's i-Taiwan 12 projects, an ambitious public works plan directed at regaining Taiwan's economic momentum. Over the course of eight years, the plan will pour NT $3.99 trillion (US $133 billion) into twelve nation-wide infrastructure projects. The plan for the new Taoyuan Aerotropolis will renovate Terminal 1 and the two existing runways while simultaneously constructing a new Terminal 3 and a longer third runway. With completion projected for 2020, the new airport will be able to accommodate 75 million passengers a year, more than doubling the airport's current capacity. Concurrently, the Taipei MRT is constructing an express line to the airport, shuttling riders from downtown Taipei to TTIA in a brisk 35 minutes. The plan also calls for widespread development of the area surrounding the airport, fostering an international business hub. Land has been allocated for free trade zones, agri-business, financial services, aviation R&D, sustainable residential communities, and coastal recreation. The project aims to create 80,000 jobs out of 120,000 total in the i-Taiwan plan. In order to successfully enact the sweeping vision of the Taoyuan Aerotropolis , dual urban development corporations have been tasked to oversee the project. According to the "fried-egg" model, the airport (the egg yolk) will be run by a central government urban development corporation, the Taoyuan International Airport Corporation (TIAC). The adjacent airport city (the egg white) will be run by the Taoyuan Aerotropolis Corporation (TAC) under control of the Taoyuan County government. Both UDCs are entirely publicly-owned and blend a mix of local and central government officials, businessmen, and academics into their corporate management structures. Although the outcome of the Taoyuan Aerotropolis project is a decade away, its organization structure is encouraging. As a self-declared "window of Taiwan's economy," the TTIA renovation and expansion is a critically important project. Taiwan's government deserves respect for utilizing a new management framework instead of adopting a risk-averse "business as usual" approach. Furthermore, the fried-egg development model recognizes that the Taoyuan Aerotropolis project's goals are two-fold: reintroduce TTIA as a world-class airport and build the surrounding area into a global business hub. By utilizing two separate UDCs, both are able to focus on issues most important to their core constituencies. The Taiwanese central government is focused first and foremost on establishing TTIA's status as a crucial air hub at the center of East Asia's flight routes. Stimulating Taoyuan County's local economy by developing adjacent business zones is a secondary benefit. Inversely, the Taoyuan County government's primary concern is creating an environment where the increased international traffic will stay and spend money. It will also work to integrate the airport's economic successes to the greater county via improved transportation links etc. Structurally, the examples of UDCs from the U.K., Germany, and Taiwan are similar. They employ corporate management strategies with boards appointed by or indirectly approved of by the government. They all effectively incorporate academics, architects, planners, businessmen, and government officials into a focused decision-making framework, succeeding in delivering tangible results. In a thematic sense, however, the character of each UDC differs drastically. The overarching theme of the LDDC was the regenerative power of the market; it relied upon a laissez-faire development model to entice an inflow of cash to an area previously unattractive to investors. In comparison to the LDDC, HCH's powers are more diffused, and its model focuses on a holistic "livability" approach to urban development. Although the HCH operates in a different era (green design and sustainable development were not prominent in the public discourse of 1980s), its focus on green building, non-motorized transport, design, and energy standards distinguishes its urban vision. Lastly, the dual UDCs in charge of the Taoyuan Aerotropolis frame urban development as a regional and national economic stimulus. Taoyuan Airport is not located in the middle of a dense urban setting. Instead, the project hopes that its small business city will integrate with Taiwan's surrounding metro areas, mutually simulating growth. Transportation links, green building renovation, and R&D centers are all means through which the Taiwanese leadership seeks to reclaim Taiwan's international standing in world trade. Each of the case studies above has practices that would prove beneficial to any potential UDC operating in Taichung. In part two, I want to discuss the conditions in Taichung that warrant the use of the UDC model for urban planning. Furthermore, I will analyze a proposed UDC structure for Taichung City and evaluate its potential implementation.